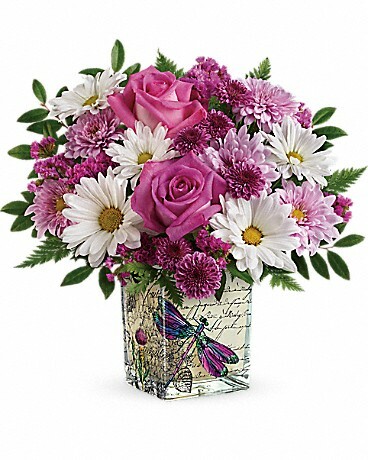 That Winning Smile Bouquet by Teleflora - by Jerry's Flowers & Things, Inc.
Jerry's Flowers & Things, Inc.
She will smile with joy when this stunning bouquet is hand-delivered to her doorstep! 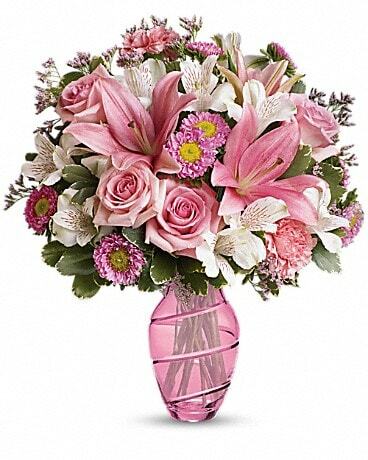 Bursting with beautiful roses, luxurious lilies and alstroemeria, this lush bouquet delivers your love in an exclusive breathtaking cut glass vase that's a grand gift in itself. 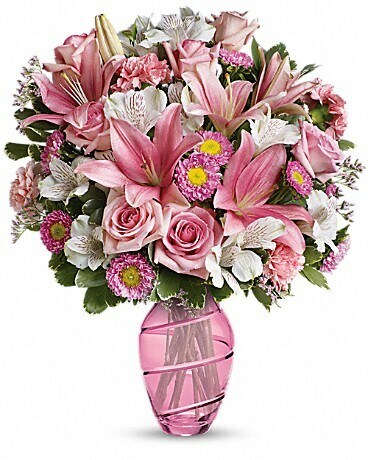 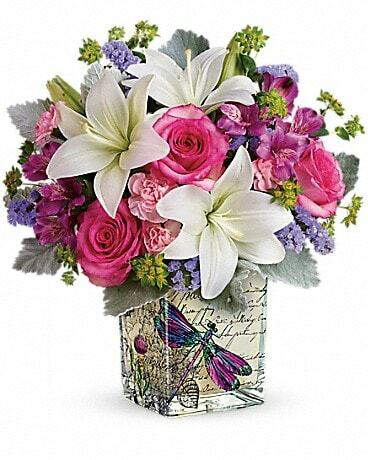 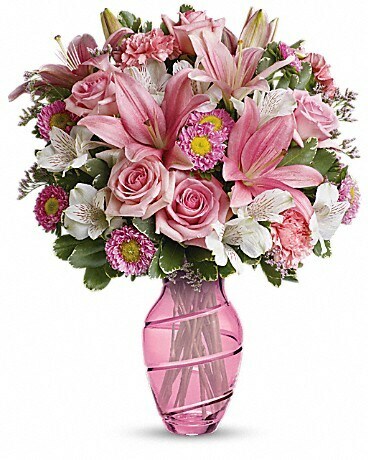 This gorgeous, custom crafted hand-blown glass vase is a part of Teleflora's exclusive Flowers-in-a-Gift collection. 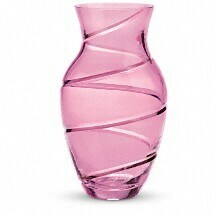 This unique vase will be treasured for years to come!